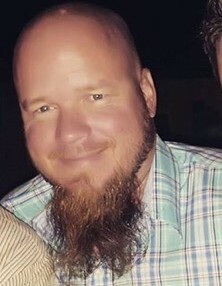 Johannes "Hans" Montgomery Heintjes, 38, of Cleveland, Texas passed away on Tuesday, December 4, 2018. He was born on Thursday, October 30, 1980, in Pasadena, Texas, to Jan Heintjes and Jewel Evelyn (Sutton) Heintjes, both of whom have preceded him in death. Left to cherish his memory is his loving spouse Jessica Heintjes; daughters, Kaylee Mekel Heintjes, Paisley James Armstrong, Braylee-Mae Olivia Heintjes; sons, Ryker Jules Heintjes, Braxdyn Mace Heintjes, Braedyn Lynn Reddell; sister, Sheila Buckley and husband Mike; brother in-law, William L. Merrell and wife Sonny Ray; nephews, Julius Buckley, Kenyon Merrell, Kayson Merrell, and Mark Merrell; nieces, Isabella Buckley and Grayce Merrell; aunt, Joyce Denby; father and mother-in-law, Jack and Diann Merrell; along with numerous other loving family and treasured friends. Hans was an engineer with UPRR for 8 years. He was a Proud Mason and member of Tarkington Prairie Lodge. Visitation for Hans will be held at Neal Funeral Home on December 14, 2018, from 6:00 p.m. to 9:00 p.m. Funeral Services for Hans will be held at Neal Funeral Home on Saturday, December 15, 2018, at 10:00 a.m. Interment for Hans will immediately follow at Cleveland Memorial Cemetery. Pastor Troy Moore officiating.